Obviously, you weren't going to use rotten eggs, but we want fresh as in recently from the chicken. Sure, fresh eggs tend to taste better and even have more nutrients, but that's not even the reason it needs pointing out here. The fact is that the fresher the eggs, the easier they are to poach. No kidding. Fresh eggs simply hold their shape better when slipped into the simmering poaching liquid. If you happen to get your hands on some fresh pastured eggs—eggs from birds allowed to live in a field and scratch for much of their food, thus eating a varied and more natural diet—prepare yourself for some truly brilliant orange, verging on day-glo, yolks and wonderfully firm, bouncy whites. But, again, most importantly in terms of poaching, fresher and thus better quality eggs simply keep their shape easier when poached, so set yourself up for success and start with good eggs. Note: Letting eggs come to room temperature before poaching them helps them cook more evenly. Take the eggs you want to poach out of the fridge at least 30 minutes before you plan to cook them. The next step to perfectly poached eggs is to achieve the correct temperature for the poaching liquid. If it's too cool, the egg will separate apart and sort of dissolve into the poaching liquid before it cooks; if it's too hot, you'll end up with tough whites and over-cooked yolks. Fill sauce pan or a wide, shallow pan with at least an inch of water or broth and about 2 tablespoons of vinegar or lemon juice for every 1 cup of water. The acid from the vinegar or lemon will help the egg whites coagulate quickly, which in turn will help the egg keep its shape while cooking. Heat the poaching liquid over medium-high heat until bubbles form along the bottom and sides of the pan, but don't break away or come to the surface; if you have an instant-read thermometer, use it—you're looking for it to read 180 F. Adjust the heat to maintain this temperature. 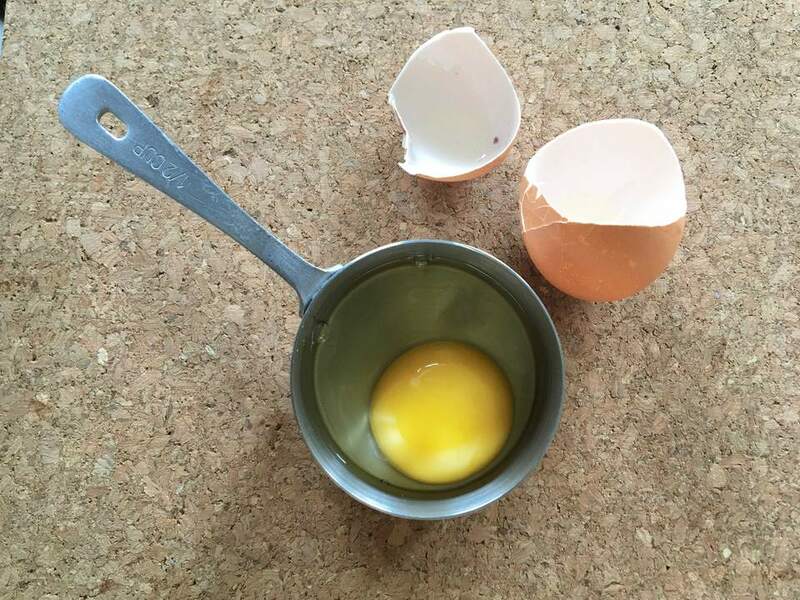 Crack the eggs into individual ramekins or measuring cups. Pre-cracking the eggs allows you to remove any bits of shell, start again if a yolk breaks, and have more control when guiding the egg into the pan. If you have poaching rings, go ahead and put them in the pan. Want poaching rings? You can always use cleaned tuna cans with both the top and bottom removed. Hold an egg-containing ramekin right at the liquid's surface and gently pour the egg into the liquid (or into the rings or forms if you're using them). Repeat with the remaining eggs, up to four eggs per batch if the pan is big enough. Cover the pan or gently spoon a bit of the poaching liquid over each egg to help set the tops. For poached eggs with set whites and warm yolks, cook room temperature eggs 2 minutes and chilled eggs 3 minutes. For set yolks cook 2 minutes longer. Use a slotted spoon or spatula to gently lift each egg out of the poaching liquid. If eggs have stuck a bit to the pan, smoothly work the utensil edge between egg and pan to loosen before lifting the egg out. Set the eggs on a clean kitchen towel or layer of paper towels to drain off as much liquid as possible. Pat their tops dry, if you like. Note: If you're poaching more than one batch, poached eggs can be kept in warm water until all are cooked, then "dry" them all right before serving. Poached eggs are most often served plain or on buttered toast. Salt, pepper, and hot sauce are excellent accompaniments, as are salsas and chutneys of all sorts. For a slightly more elegant presentation, melt butter in a frying pan, add some freshly chopped herbs and add poached eggs just to warm them up. Serve immediately. 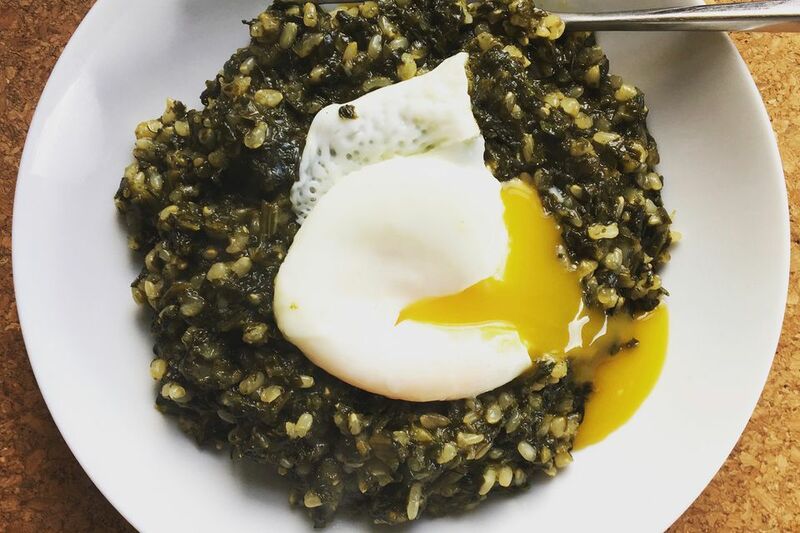 Poached eggs also make a flavorful, protein-rich addition to soups and stews. They can also turn a simple salad into a meal, as with the classic French bistro favorite of a frisée salad with shallot vinaigrette, crumbled bacon, and a poached egg on top. You may also like to check out how to make soft-boiled eggs or how to make hard-boiled Eggs.